she is going to USA for a nose surgery. Hope she would be fine. Nicely put in comparing the symbolism about the girls in the two pictures. It's great to read she will get reconstructive surgery. Yet this violence against women is not just in Afghanistan. 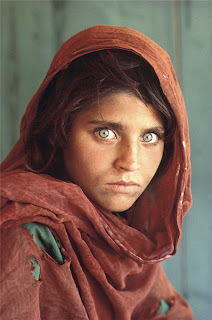 As you imply in your blog things have not improved and you should check out the great Afghani politician Malalai Joya. She rallies on despite a price on her head from the Taliban.